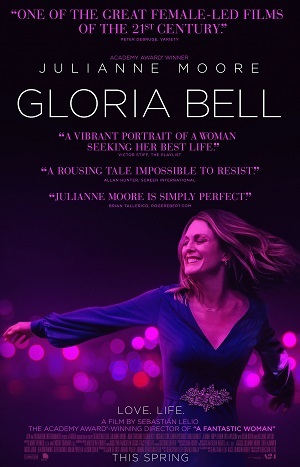 A remake of his own 2013 stunner Gloria, director Sebastián Lelio’s Gloria Bell is both an outstanding showcase for star Julianne Moore as well as a fine, emotionally astute melodrama that sits alongside its predecessor with comfortable ease. Not content to just tell the same story twice, the filmmaker, working closely with screenwriter Alice Johnson Boher, tasked with reworking Lelio and his frequent collaborator Gonzalo Maza’s story, this new version takes the general template and the ideas found in the Chilean original and then shakes them up so they still feel fresh and organic to this particular California milieu. All of which makes the feature not so much a remake as it is a reinterpretation, and while I personally wasn’t as emotionally gobsmacked as I was by the director’s first take on the story, that does not mean I was any less mesmerized this time around, either. Gloria Bell (Moore) is a divorced, fifty-something insurance agent with two grown children, Anne (Caren Pistorius) and Peter (Michael Cera), and an ex-husband (Brad Garrett) with whom she still shares affection for. She enjoys dancing whenever possible, heading out to a local club during the nights it caters to an older clientele. One evening she catches the eye of the recently divorced Arnold (John Turturro), an ex-military man who made quite a successful career for himself after transitioning to civilian life and who now currently owns and operates a popular paintball range seemingly just for the fun of it. The two hit it off, entering into a quietly passionate romance both dream will last, if not for the remainder of their lives, at least far into the foreseeable future. This is the nuts and bolts of the story, and anyone expecting more, something blatantly melodramatic, should likely look elsewhere for their soap opera theatrics. As anyone who has watched any of the films in Lelio’s impressive oeuvre, including the Oscar-winning A Fantastic Woman and last year’s superb Disobedience, this just isn’t a part of the director’s bag of tricks. While his stories are all about adults dealing with vagaries of life, mostly involving love, family and what it means to get older while still trying to figure out one’s place in a crazy, messed-up world, that does not mean he’s prone to lay on the schmaltz or the saccharine. Obstacles arise that put crimps in Gloria and Arnold’s blossoming relationship, while events involving the woman’s daughter (an unplanned pregnancy and an unexpected move to Norway) and her son (parenthood and uncomfortable estrangement from his wife) add additional complications. None of it is all that extreme or unbelievable. This makes investing in what is happening to Gloria all the easier to do with the added benefit of making the few crazier plot twists easier to swallow. Lelio takes snapshots of his heroine’s life as it meanders along, the intimate grace of the insights he discovers along the way fascinating. He also adds little, seemingly quirky elements like the arrival of a hairless cat fond of Gloria’s apartment or an upstairs neighbor with substance abuse issues, each of them playing a far more vital role in where things are headed than one might initially figure they are going to. These additions to the narrative never feel forced nor do they obnoxiously foreshadow climactic events, the directorial restraint Lelio utilizes allowing them to exponentially increase the emotional vibrancy of everything that transpires throughout the story a fair amount. There is a magnificent set piece where Gloria and Arnold escape to Las Vegas for the weekend. She’s ready to forgive him for an egregious act of emotional cruelty, this mini-vacation the first step they both need for that to happen. But what happens next? Where things go? The self-reflective interiors of her own soul Gloria is forced to look at during this trip? It’s pretty powerful, all of which leads to an alcohol-fueled existential wandering around the city that leaves her in desperate need of a shoulder to cry on. The poignancy of this jaunt to the city that never sleeps cannot be underestimated, the cathartically mournful empathetic strength of this segment profound in its minimalist eloquence. Time passes rather oddly and I admit I wasn’t entirely clear on how much of it had transpired from one scene to the next. Some of the supporting characters (portrayed by the likes of Jeanne Tripplehorn, Sean Astin and Alanna Ubach) don’t make the impression I found I kept wanting them to, and while the plot beats involving Gloria’s daughter are affectingly sincere, I sadly didn’t feel the same about what was going on with her son. Thankfully, Cera is so understated in the latter role that I was still able to connect to him somewhat, the heartfelt expressiveness of his performance during a family birthday dinner for Peter’s sister Anne touching in its unaffected complexity. Garrett, Rita Wilson and especially a perfectly cast Holland Taylor also turn in a trio of luminous supporting turns, and while the latter only has a couple scenes her imprint on this story is nonetheless memorably indelible. But Moore is this motion picture’s star and she does not disappoint. The Academy Award-winner gives an elegantly lithe performance, one that instantly jumps off the screen taking on a unique, idiosyncratic life of its own in the process. Gloria purposefully boogies to her own beat and, while she doesn’t dismiss the world’s judgment, she just as clearly isn’t going to change who she is to appease anyone else, especially those she doesn’t know. 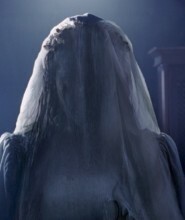 Moore does so much with so little, gliding through the events of the narrative with graceful ease, and whether she is empowering her character to move on and love anew utilizing any and all means at her disposal or wallowing in a form of ephemeral grief brought on by heartless abandonment, the actress’ perfection is never in doubt. Beautifully shot by Natasha Braier (The Neon Demon) and hypnotically edited by Soledad Salfate (who also cut the original film), Lelio’s reimagining of his Chilean opus is as visually alluring as they come. The film also features a magnificent soundtrack overflowing in familiar pop, rock and disco favorites from the past four decades, bits of shrewdly utilized classical music and an original score from composer Matthew Herbert (A Fantastic Woman) that’s nothing short of sensational. 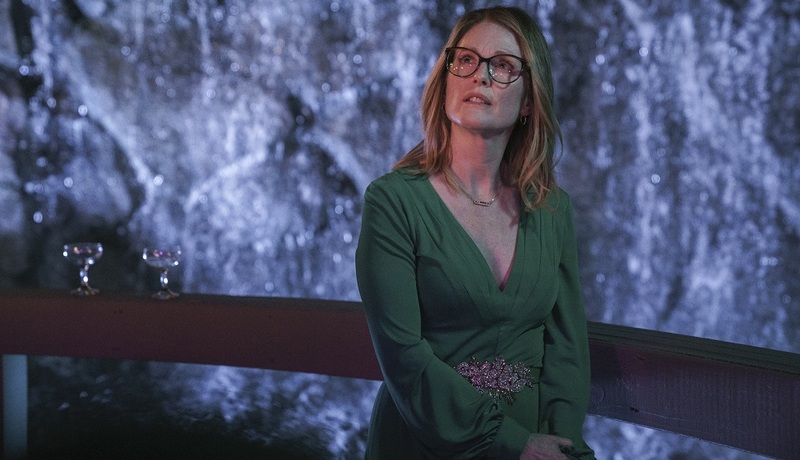 Gloria Bell is a spellbinding treasure, one that is deserving of multiple viewings if only to watch Moore dance her way through the story’s dramatic ins and outs with such irresistible brilliance.